Divorce Law and Family Law Attorney | Snellville | Harold D. Holcombe P.C. A lifelong Gwinnett resident, attorney Harold D. Holcombe has been practicing law since 1987. He has a Bachelor Of Arts degree, a Juris Doctorate degree, and Masters of Business Administration degree. Mr. Holcombe understands that he is in an adversarial, highly competitive business. Unlike more impersonal tactics some attorneys use, Mr. Holcombe communicates with you directly and honestly. His firm uses computers and electronic communication to work efficiently and save you money. His promise is to meet with you as often as necessary to keep you up to date on your case. With a personalized approach, he gives each of his valued clients the peace of mind they are seeking. Mr. Holcombe is a down-to-earth person who has been happily married for over 30 years. He has two children and four grandchildren. When he is not practicing law, he likes to read, play golf, build model railroads with his grandchildren, and watch college football. Harold D. Holcombe P.C. provides legal counsel for Gwinnett County families in the fields of divorce law and family law. Contact his friendly office today at (678) 344-0116 to hear about how he can give you the support and guidance you need during these challenging times. 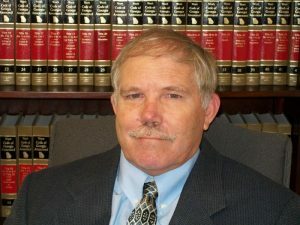 Harold D. Holcombe, P.C. represents clients throughout Gwinnett, Walton, and Barrow counties from our office in Snellville, Georgia. We provide legal counsel to our clients facing divorce & family law issues.